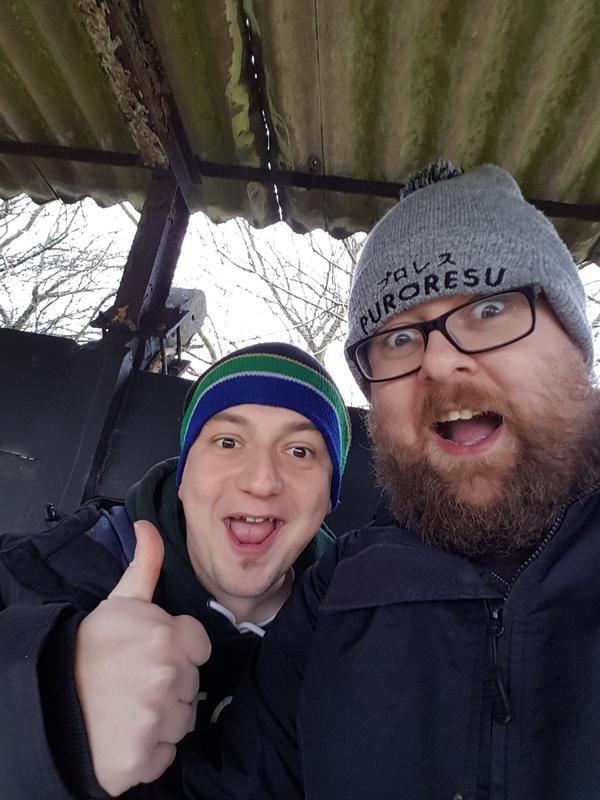 So, I had a realisation a few weeks back at The Kensite Stadium (home of the mighty Atherton Collieries FC) that I had been to a lot of football grounds. 94 in fact. That’s quite a lot. Not as many as some, but a fair few, probably more than the average fan. Truth be told, the amount of football I’ve watched has dropped considerably, largely because Colwyn Bay FC have been poor the past few seasons (suffering two straight relegations after I waxed lyrical about their great escape a few years back), international football has been amazing (but there’s only a few games per year you can get to), and of course, love for the graps. 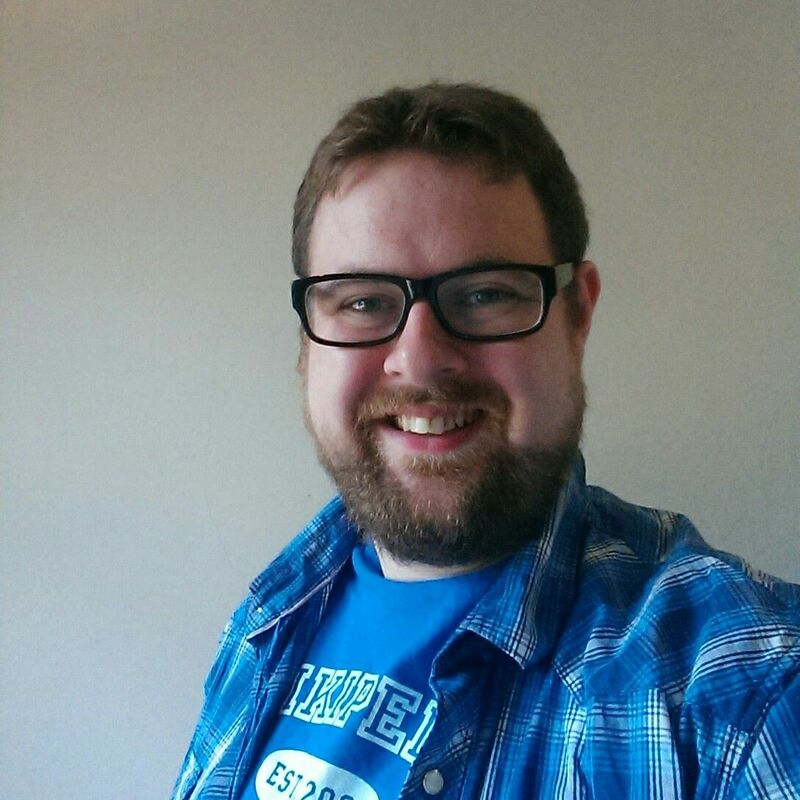 But, call me a bandwagon returner, but Colwyn Bay’s season has started…okay. We’ve looked pretty decent in parts, so I’ve turned my eye back to the old mistress that you never quite got over. 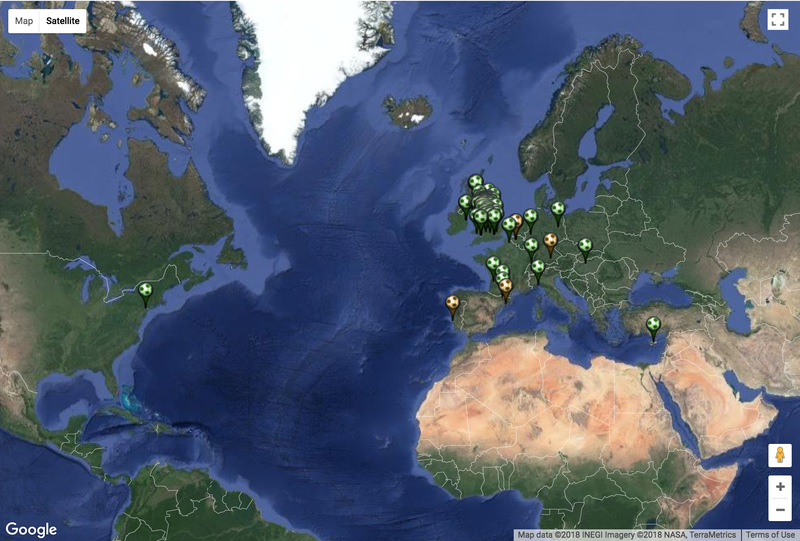 But looking at the amount of grounds I’ve been to, there’s a fairly big number on the horizon. I’m currently on 94. After consulting with a friend it was decided that 5 didn’t count as I didn’t see a game there (Everton, Benfica, Bayern Munich, Anderlecht & Barcelona). 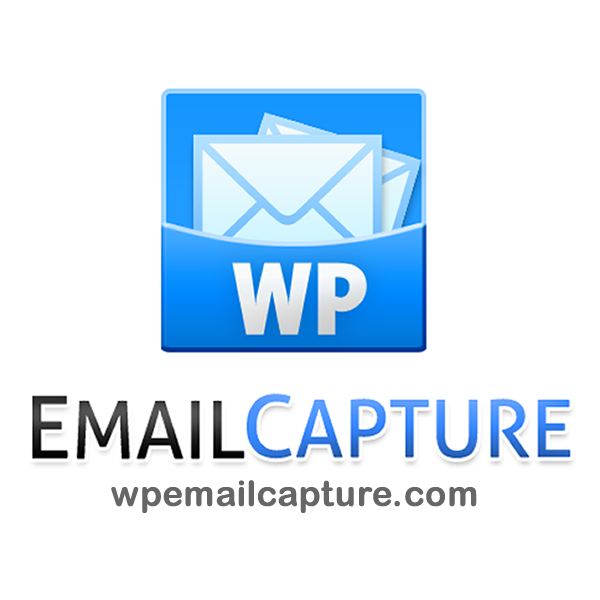 As such, I’m on 89 as of time of writing. I reckon I could hit 100 before the end of the season. I worked out that I’m likely to hit 92 by Christmas (I’ve a wedding to go to and the day before is Chesterfield vs Morecambe, Hertha Berlin are playing in the Europa League when I visit Berlin, and a friend has invited me to New York Stadium to see Rotherham vs Shrewsbury Town). I reckon I could hit the last 8 before the end of the season. There is one caveat to this though. Since most of England discovered that Ben Woodburn cannot play for them, Wales may qualify for the World Cup. It’d be quite nice if my 100th ground was actually in Russia seeing Wales play in a World Cup final, now, wouldn’t it? But that’ll be known long before the end of the season. We’ll jump that hurdle when we get to it. But yes. 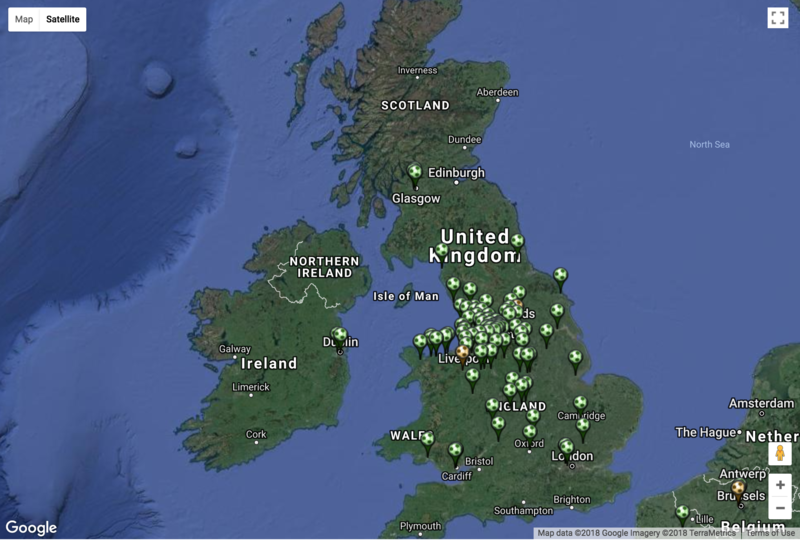 100 football grounds before the end of the season. Let’s go! I’ve been getting a little emotional in my advancing years, as films and even the John Lewis adverts at Christmas have seen me well up, but the last time I cried before last Wednesday was when a relationship I was in went past the point of no return and broke down. 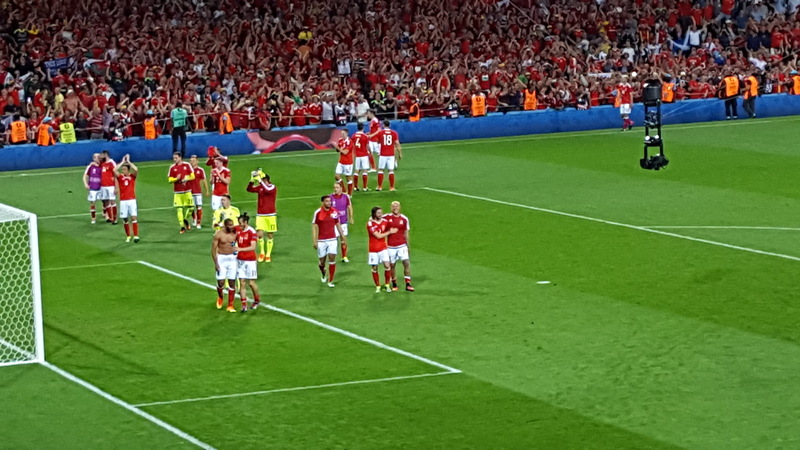 It may be strange to compare the break down of a relationship to the fairly trivial nature of Wales’ defeat to Portugal in the semi finals, but you need to understand what the Euro 2016 meant to me, as one of the many Welshman and women who got caught up with the euphoria along the way. This was my third campaign as a paid member of the Welsh qualification campaign. 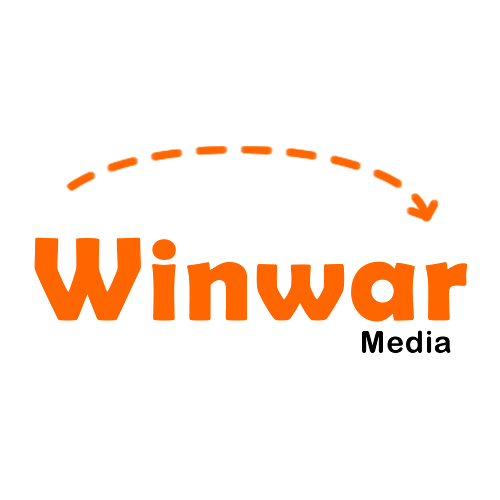 The first was largely a damp squib, both in terms of fun and results, but by the second campaign I began making friends as well as see an upturn in results in Scotland and Belgium. It was then I began to understand exactly what Wales away was. It was not an old, stuffy movement from a bygone era. This was new Wales, young fans exploring far off destinations and bringing smiles in exchange for beer in exchange for pounds. Singing and chatting about all sorts of subjects, and people from Wales (and beyond) congregating in a location outside the borders to have a good time. In short, it was a holiday, that had the small inconvenience of football half way through. But unlike bygone eras where Brits were tarnished with hooligan elements, this was different. Fists were replaced with songs. Europop was embraced (more on that later), and pints were shared with our European cousins in bars all over Europe. This manifested itself in the campaign that – after 58 years – Wales finally qualified. Chris Coleman commented first of all that there were some really good trips on this draw first and foremost, and at the beginning of the 2016 campaign I also looked at myself. Whilst happy and enjoying them, this may be my last one. The lead up to the campaign had so many great moments for me. From the first game in Andorra which saw us gatecrash the hotel with the Andorra national side in, to the Belgium game where Zombie Nation became a thing, to the Cyprus game whereby it was a week lounging by the pool and we developed a new found love for beach volleyball due to the European Championships taking place in Larnaca, this campaign had so many great memories. Memories that I would look back on with fondness, even if we haven’t had qualified. The other thing quite crucially about this campaign was that it was a release. A bit of a constant in my life when things weren’t great outside of it. 2015 wasn’t a great year for me, I had illness in the family, setbacks professionally and break ups. My regular cruxes were not there, my only constant though was the activity on the #walesaway hashtag, that got busier and busier in the build up to games. I smiled, even though I wasn’t in Tel Aviv or Godknowswhere in Bosnia for some games, as I enjoyed being part of something. That’s what this team, buoyed by the words “Together Stronger” meant to me. We were together, and by God we were stronger when we qualified. The truth is though we didn’t care about the results, as we were there. We were part of the bunting, the Panini stickers, and the write ups. People have to talk about us, because we are good enough to be there, but we weren’t sure how long. In the run up to France results weren’t great though. 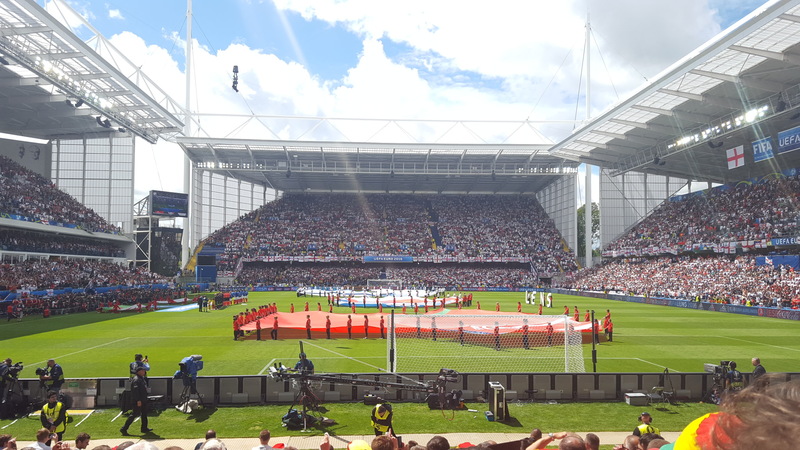 I attended one friendly (a rare game in Cardiff that saw us lose 3-2 to The Netherlands), and whilst we impressed without Bale or Ramsay, we did seem a little off. Other results weren’t that great, such as a 3-0 demolition by Sweden, so I’d be lying if I said a part of me was convinced we were going to France to make up the numbers. I didn’t care. I had tickets for all 3 group games, so I was happy just to see my team play in a major tournament. It would be nice to see us score at least one goal though. So we arrived in Bordeaux, and we partied and celebrated in a friendly way with our new friends. I talked about it in length but we actually won a game. This began probably the greatest adventure of our lives. Sure we then lost to a very disappointing England team, but the bigger result for me that day was Northern Ireland beating Ukraine. That meant that – at the very least – we would not be the worst team in the tournament. 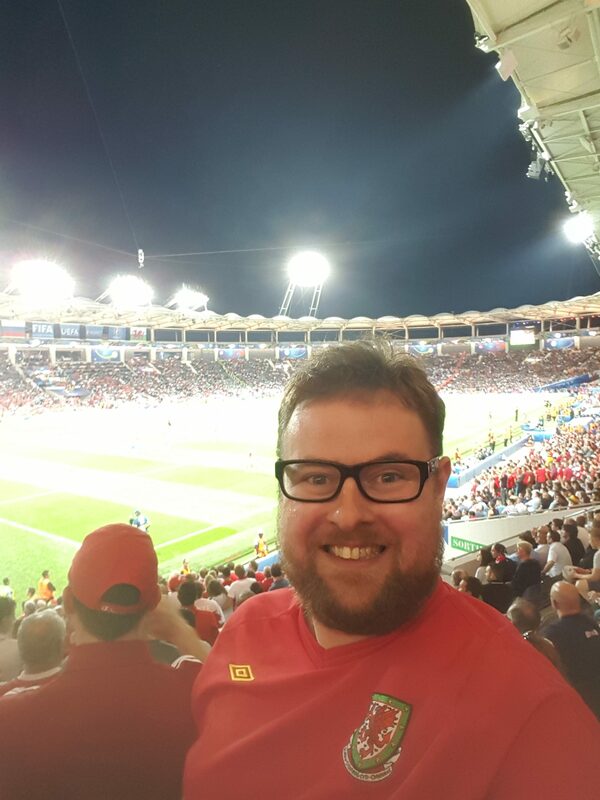 After a fairly quiet Lens/Lille trip that saw me stay in the town of Kortrijk, that saw many a night gathered in the hotel bar watching the 9pm kick off game, we headed to Toulouse for the final game for me. There, despite being a vox pop for Sky News, I saw probably the most dominating performance Wales have produced in my lifetime. Russia was another disappointment, as 12 years ago I remember us go out to Russia in controversial circumstances, this time there was no performance enhancing drugs, Wales attacked Russia over and over in a game that I didn’t want to end. It was so impressive, as somebody who had before that game not seen Wales win by more than one goal. 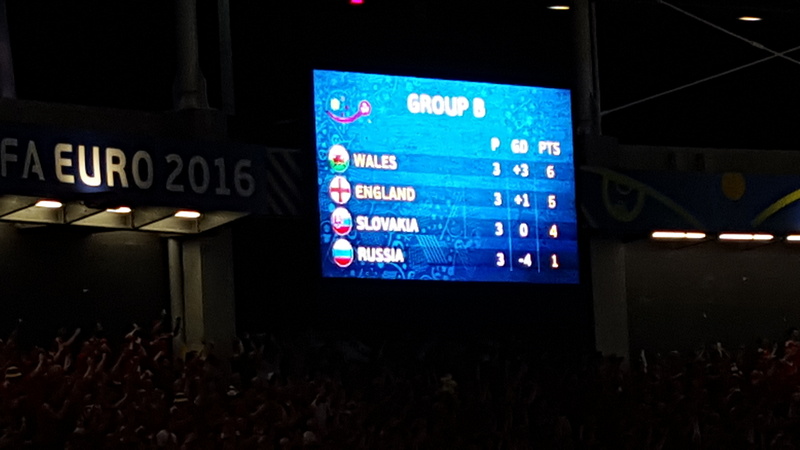 With the England vs. Slovakia game going to a draw we topped the group. Not only were we not the worst team in the tournament, we were also the best in the group. France ended for me after that game, as I needed to head home. Others were far more creative than me in filling out their holiday request forms and stayed out there. The next game against Northern Ireland however for me was the most muted. I’m not sure why, whether it was post Brexit (and the post Brexit hangover where we called half the country words I couldn’t possibly repeat here), whether it was the performance where we weren’t the best team on the pitch, whether it was the fact that I knew some great Northern Irish friends and the way they were eliminated was so cruel. I just didn’t enjoy it. We weren’t the worst team from Britain in the tournament. It was fun whilst it lasted…. That being said, neither was Northern Ireland. England were eliminated against Iceland (WHICH WAS NOT FUNNY IN THE SLIGHTEST) and suddenly we were the sole home nation representative. Next was Belgium. Whilst Russia was the most fun game I’ve seen, this was special. I’ve never seen a performance like it from Wales. We were so good. So, so good. This should have been our final but it wasn’t. Wales were clinical, and played so well against the second best team in the world. It produced one of my favourite pieces of audio when Iain Macintosh waxing lyrical about the Welsh side 2 minutes in. This was the same country that got battered to Moldova, folks. Sadly, the next round saw Wales finally be beaten by Portugal, and the tears flowed from me. Not because we lost, just because the journey I had been on for the last 2 years was over. This campaign saw me grow as a person, and it has been a stable point of my life that has seen a fair bit of change. The tournament itself was incredibly happy time for the vast majority of Welshmen and Women, and with the country being all over the place right now and so much hatred being directed towards non Brits, I’m happy to have added a bunch of Europeans to my Facebook friends list. I also surprised myself how much French I learned (even getting complimented) and on my table I have a copy of L’Equipe bought after the Russian game which I’m able to understand to at least a basic level. 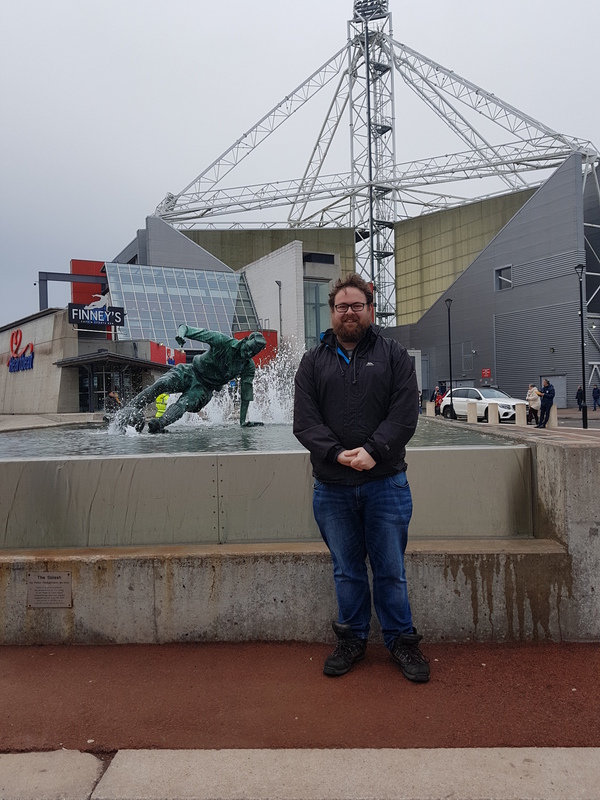 I am not the only one, as the most common sentence said to me by a group of my friends towards me in the last 3 weeks have been prefixed with the words “I’m not a football fan but…”, with people genuinely happy that I was having the time of my life. I was just happy sharing one element of my life that has been so important to me in the last 2 and a bit years. However, like all good things, times must end. If that’s not worth crying for, I don’t know what is. It is odd being a Welsh football fan. We share the limelight but are overshadowed by the Rugby, and like our countrymen we too are prone to gallent defeats rather than crude victories. Nevertheless there is often a band of brothers who attend every game, no matter what, to see the team play. Often it’s about where you go, as these are usually trips with your mates with the small inconvenience of a football match half way through. So much was related to this that when the draw for the Euro 2016 qualification Chris Coleman was talking more about the trips: the cultural hub of Brussels, the beaches of Cyprus, and the mixture of both in Tel-Aviv and Barcelona (yes, Barcelona, we’d be crazy to stay in Andorra). Except – for the first time since 1958 – the football did matter. Wales – thanks to a resolute defence, Gareth Bale’s magic and Jason Demetriou banging in an 80th minute winner against Israel for Cyprus – actually qualified for Le Rendezvous in France. Wales will actually be competing at a major tournament, and get to experience all that they can – the half and half scarves, the paragraphs about the team in the build up, and Chris Gunter swaps in the Panini Sticker Album. It’s unknown territory for the players and the nation, but also for the fans, who aren’t really sure just quite how to behave. 1958 probably didn’t see large swathes of the country decamp to Sweden for a few weeks, and usually Wales away trips are short affairs. Hit a city’s alcohol supply for a good 2 or 3 days, and then return. No. This is different, a more prolonged effort is required. Shudder to think too, we’ll need to factor in days of “taking it easy”. But there was no easy days in Bordeaux. 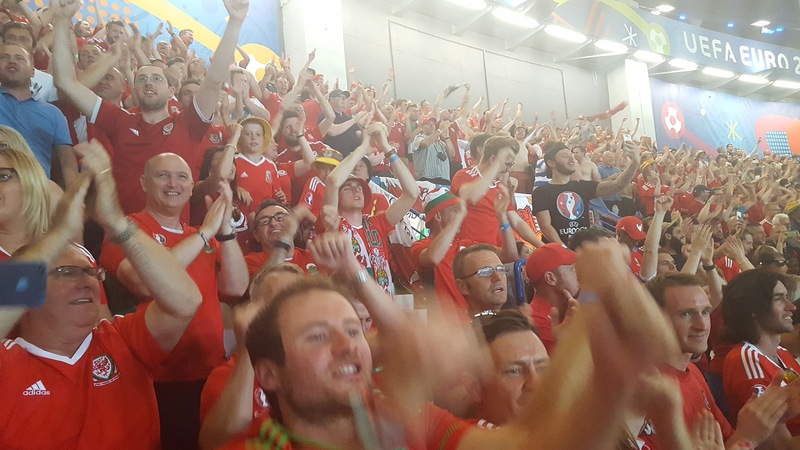 Whilst the largely English based media was whetting their appetite at the thought of a Home nations clash with England vs. Wales, most Welsh fans instead were wanting to be at one game: Slovakia. 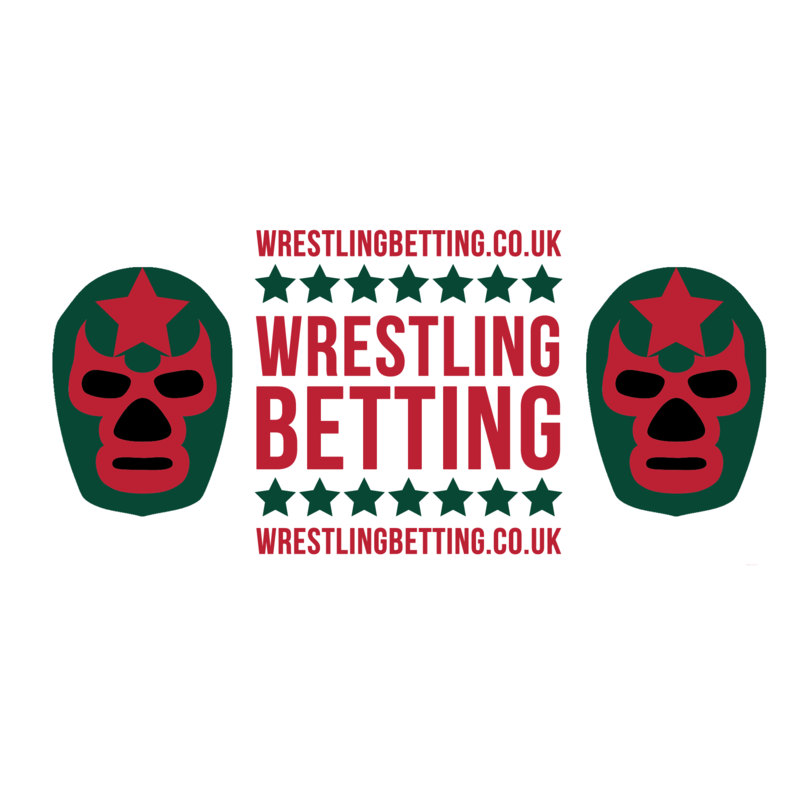 The first game in a major tournament since 1958 – 35 years before their opponents existed as an independant nation. I arrived on the Thursday – hotel space was a premium so I stayed a bit outside the city in a budget L’Étoile Bleue in Merginac. It was cheap but nice enough. Although I skipped the swimming pool. I headed to the town and the first night was a bit muted, but the second night saw a massive change. The town was full of fans – Welsh mainly, but a fair few Slovaks who were making noise. Later in the early hours of Saturday morning fans had commandeered the main square, and making noises as cars were driving through a sea of people. Songs were sung, plucked from the Welsh library of songs which are often reworkings on 1980’s disco classics. The atmosphere was friendly and peaceful, if slightly boisterous. Eventually though people headed to bed for the day after – waiting for the first game for Wales at a major tournament in nearly 60 years. So gameday came, and whilst a few drinks were had in the city’s fanzone before the game, it was slightly muted. 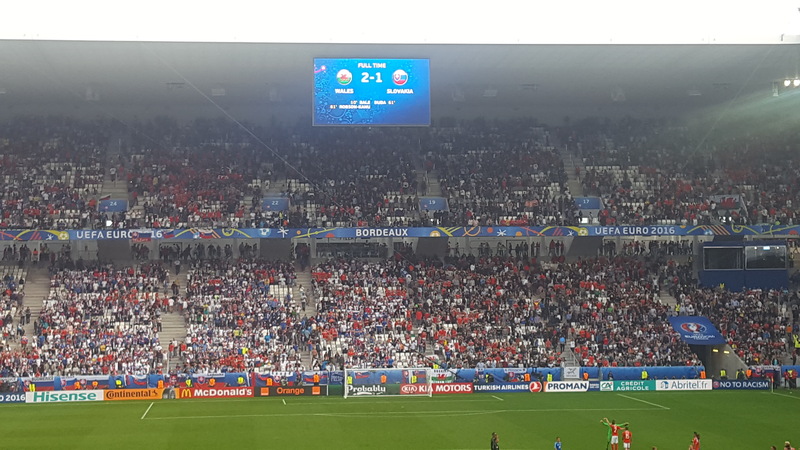 Wales had the slightly later kick off of the day (sandwiched between Switzerland vs. Albania and Russia vs. England), and without being at a major tournament we were unsure quite how to act. Do we get to the game early? Or wait until the last minute? We took the former option: arriving early to take in the scenes and make absolutely sure nothing of the experience was missed. So what of the game? Well, most people would’ve been happy if Wales gave a good account of themselves, and we’d have love to see at the very least a goal so we have something to celebrate. In our wildest dreams we did not expect to become the first home nation side to win their opening game at the European Championships. But that what happened, when Aaron Ramsey managed to feed Hal Robson-Kanu to scuff a shot past the Slovakian keeper late in the game, to send the Welsh fans (who were already full of voice) into absolute delirium. I was covered in beer, and I got my top off in public. I was that happy, and I can only apologise for my behaviour for doing that. 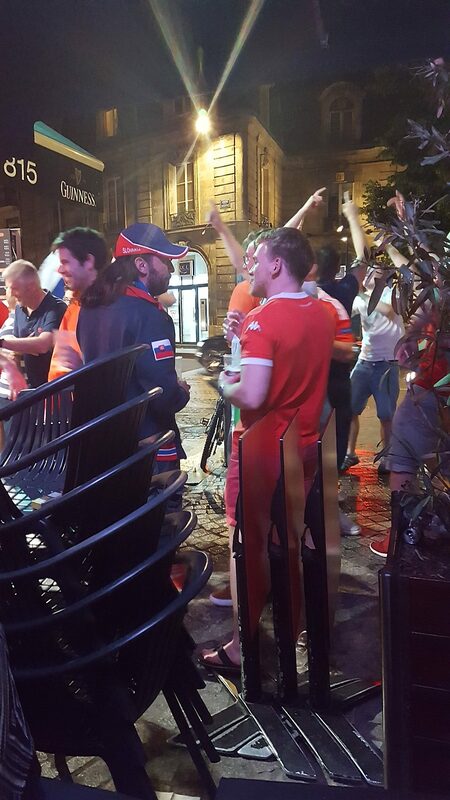 So yes, after the game, which saw Welsh and Slovak fans mingle with no trouble, we headed to the fan zone in Bordeaux, where I ditched with the traditional post match pint and instead hit the Vin Rouge. 2010 actually. Chateau de Bale. Cracking vintage. 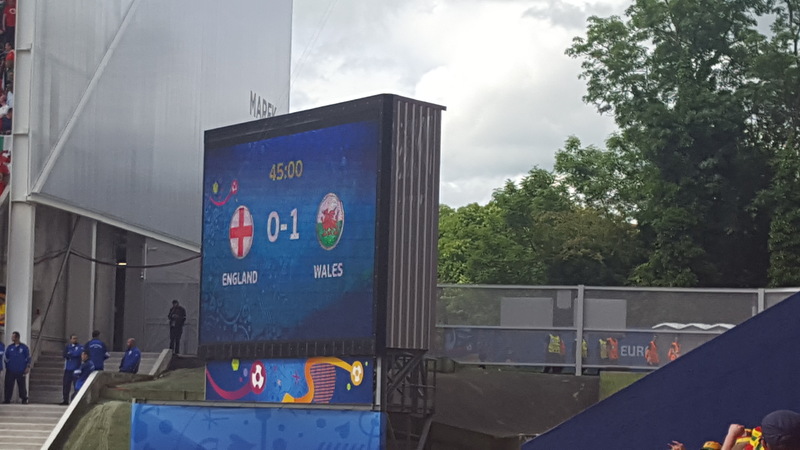 The day was made all the more sweeter with the auld enemy – England – conceding in the final minute to send Wales to the top of the table in Group B. The Eiffel Tower were lit up with Welsh colours, and – it’s fair to say – most Welshmen were a lottery win away from the perfect day, and maybe in about 9 months a fair few babies named Hal will be born in Cardiff and across Wales. Singing continued late into the night, with Welsh fans not wanting to go to sleep as it will then all be over. But sleep we must, as it’s a long tournament. As I write this, Wales are 24 hours removed from their second game where they suffered an agonising defeat against England, leaving Wales with a chance to qualify for the next round. By the time this post does go live we may be in the last 16 or on the way home. Either way though, this tournament has exceeded expectations. 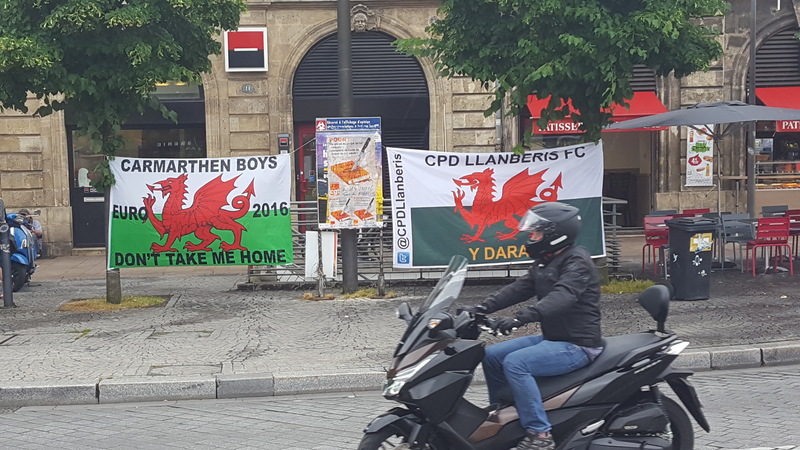 Welsh fans have been in good voice and with no trouble, with Bordeaux media reporting how much they loved the Welsh fans. Love was reciprocated by all Welsh fans who were there, as the 3 or 4 days most Welsh fans were there saw a lot of love shared. Stories will be told about this trip for generations. It felt special, and if this was what being in a major tournament is like, by God, it was so worth the wait. So watching last night’s Europa League matches, I had a thought. You see, like most football fans, I’ve delighted in the abject averageness of Manchester United this season. Blowing hot and cold like a broken radiator, I’ve been enjoying rubbing it in the faces of a few of my United friends who have made themselves scarce this year. I must admit, beyond my one true football love of Colwyn Bay Football Club and country of Wales, I have a passing interest in the English top flight at best. It is with Wales that we saw the Euro 2016 draw recently, with something interesting: the addition of Gibraltar. Having dealt with the loveliness of the formation of the League of Wales with Colwyn Bay FC, and what we could and couldn’t do, I knew that being a representative of UEFA (which is now what Gibraltar is), they need to have a national football league. This has it’s perks though, as it allows you to enter the two UEFA Competitions: The Europa League and the Champions League. Gibraltar has one spot in both these competitions. And who should be one of the best teams in the league? And they are also in the Quarter Finals of The Gibraltan Cup (admittedly against a tough Lynx side), so it’s not inconceivable they qualify for Europe. Certainly, they have a better chance than the Manchester United based in England, who have more than 3 points to make up in the league and are effectively out of all competitions. 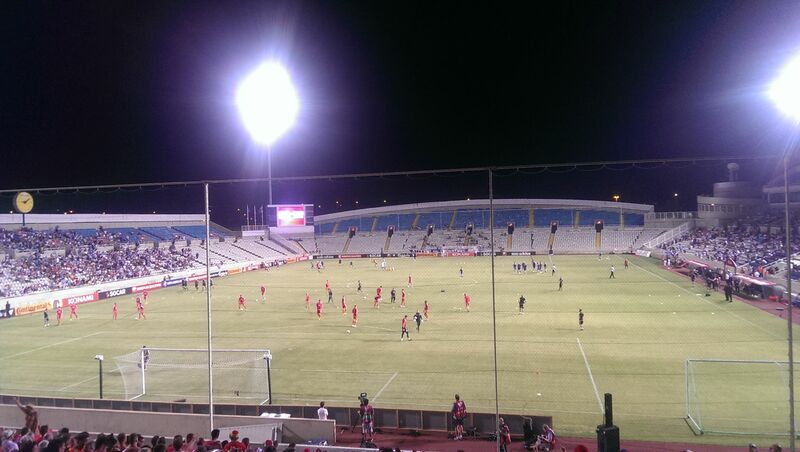 So yes, Manchester United fans, you can still watch your team in Europe next year, just you have to go to Gibraltar.